Motivated Seller! Large 4 bedroom / 2 bath home on the north side of the Island. Living room and bedrooms feature heartwood pine walls which could be white washed for the perfect beach cottage! Large closet off the master bath and two large bathrooms that are awaiting your tile and fixture selection. 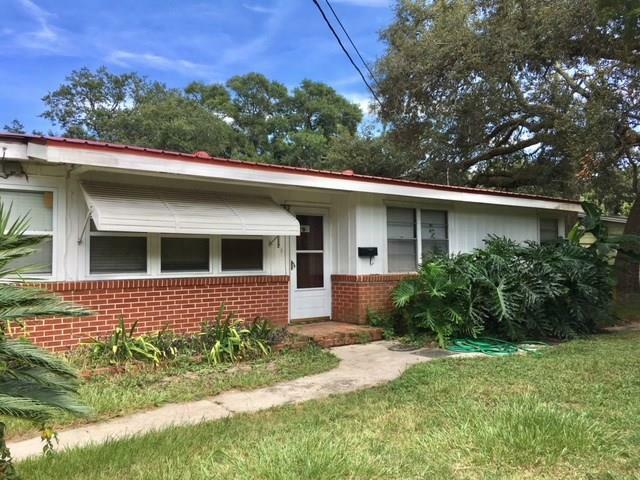 Handyman or investor special - With some good old hard work and nice interior finishes, this would be an excellent family home. Large lot (.24 acres) with well established fruit trees, has enough space to add a shed, tool shop, a large pool and maybe even a pool cabana. The roof is only 3 years old and electric has been updated. Great location - only 1.5 to downtown Fernandina Beach and 1.5 miles to the Beach. For all the boaters and fisherman, the Dee Dee Bartels, boat ramp is right down the street. This one won't last long and is ready for you to make it your own! Being sold AS IS. Amelia Island Board of REALTORS ® MLS© 2019. All rights reserved. Information deemed reliable, but not guaranteed. All properties are subject to prior sale, change or withdrawal. Neither the site, listing broker(s), nor Amelia Island Board of REALTORS ® shall be responsible for any typographical errors, misinformation, misprints, and shall be held totally harmless. Information provided is for consumer's personal, non-commercial use and may not be used for any purpose other than to identify prospective properties consumers may be interested in purchasing. This site will be monitored for "scraping" and any use of search facilities of data on the site other than by a consumer looking to purchase real estate, is prohibited. Listing broker has attempted to offer accurate data, but buyers are advised to confirm all items. Listing information last updated on 2019-04-19.